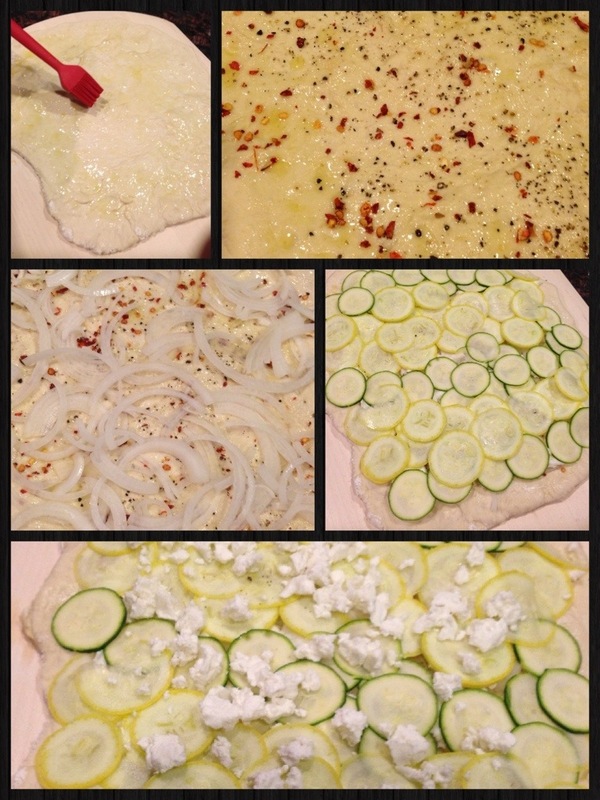 For a quick week night meal, I bought pre-made dough and made a classic margherita pizza and a zucchini and goat cheese pizza. 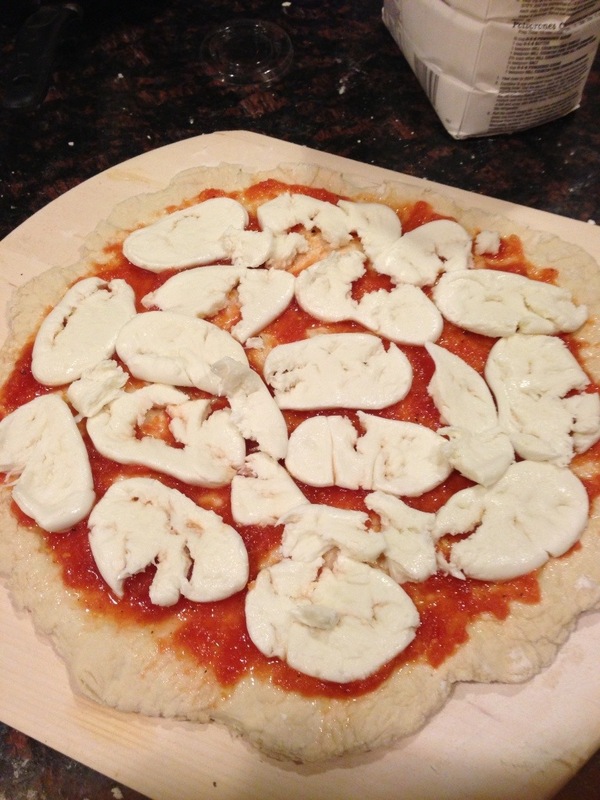 To make the goat cheese pizza, prepare the dough by rolling or stretching it out to a 12 inch round. 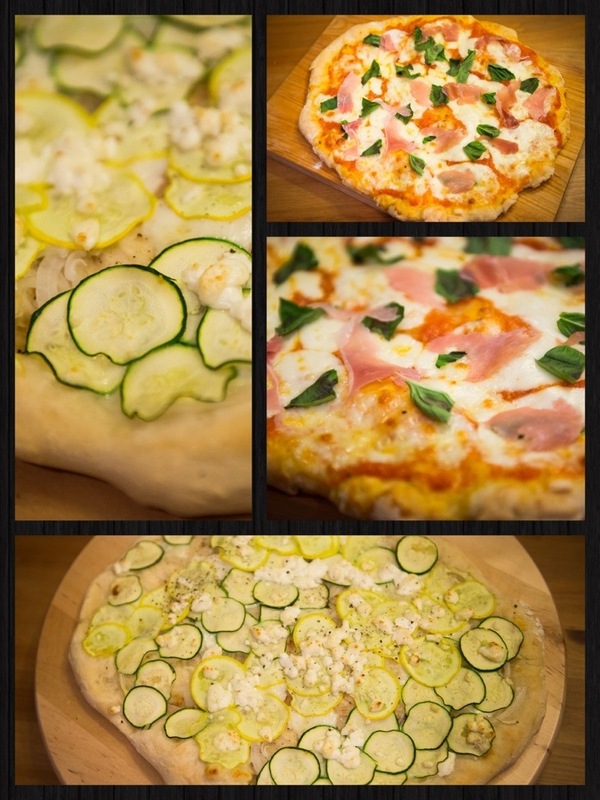 I did this over a pizza peel sprinkled with lots of corn meal. 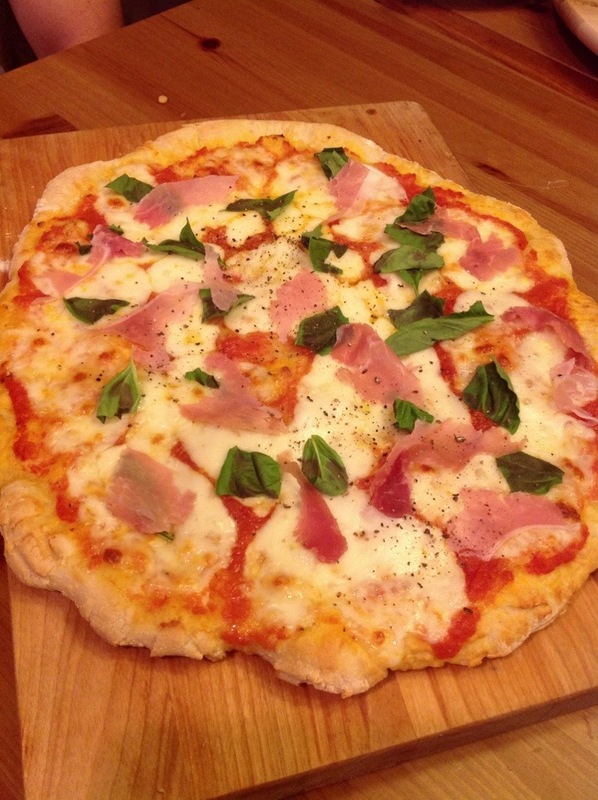 The pizza doesn’t have to be perfectly round, miss-shapened dough gives it character. 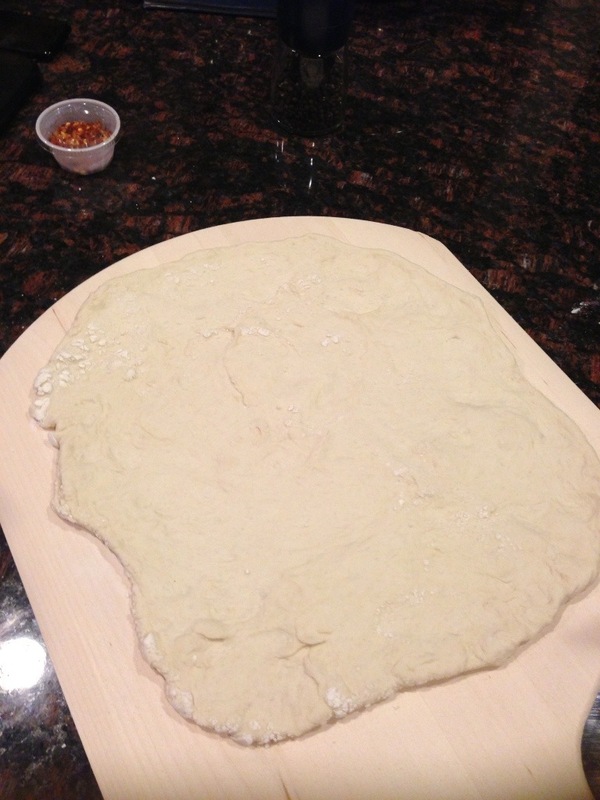 Brush the dough all over with olive oil, then sprinkle all over with salt, pepper, and cracked red pepper. 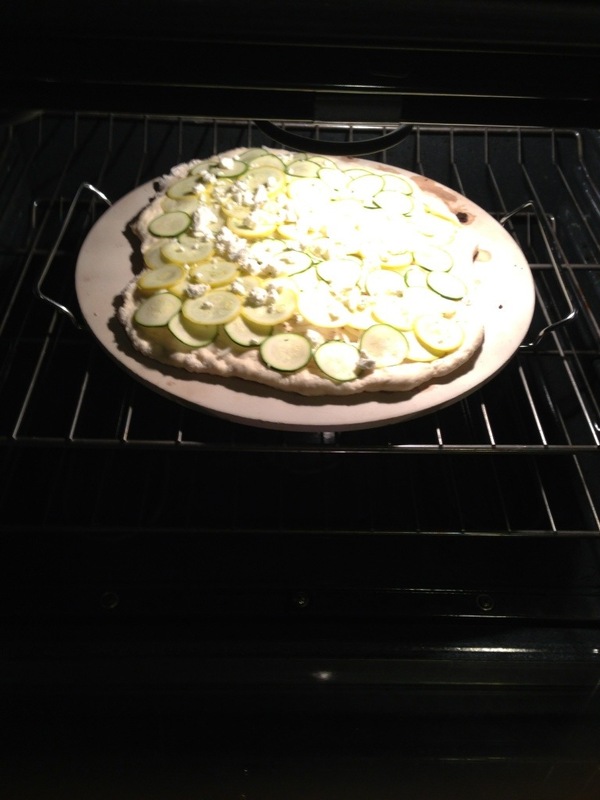 Spread thinly sliced onions over the spices, then layer thinly sliced zucchini and squash over the onions. Top with dollops of goat cheese. Bake in a 500 degree oven for 10 to 12 minutes until the dough is crusty, cheese melted, and the vegetables are slightly browned. To make the pizza margherita, I processed a can of peeled whole tomatoes, and seasoned it with salt, pepper and olive oil. 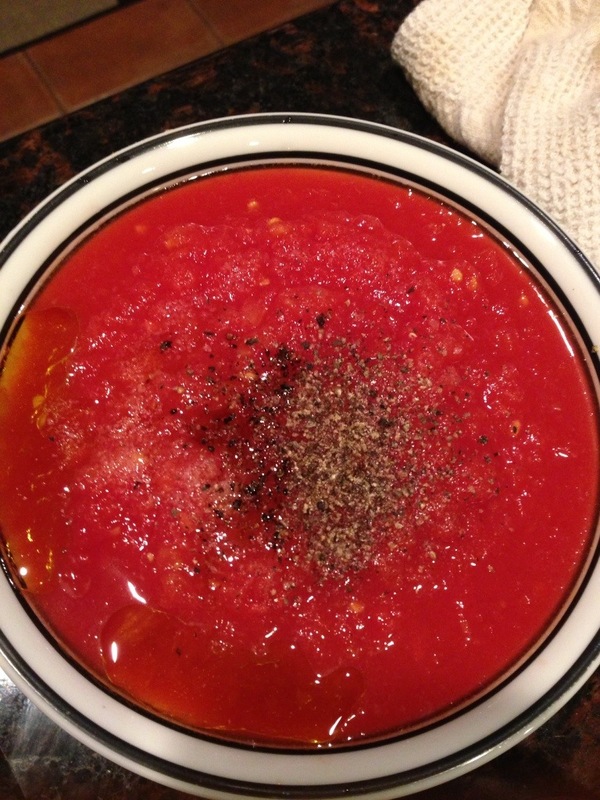 This is a simple and quick way to prepare tomato sauce. 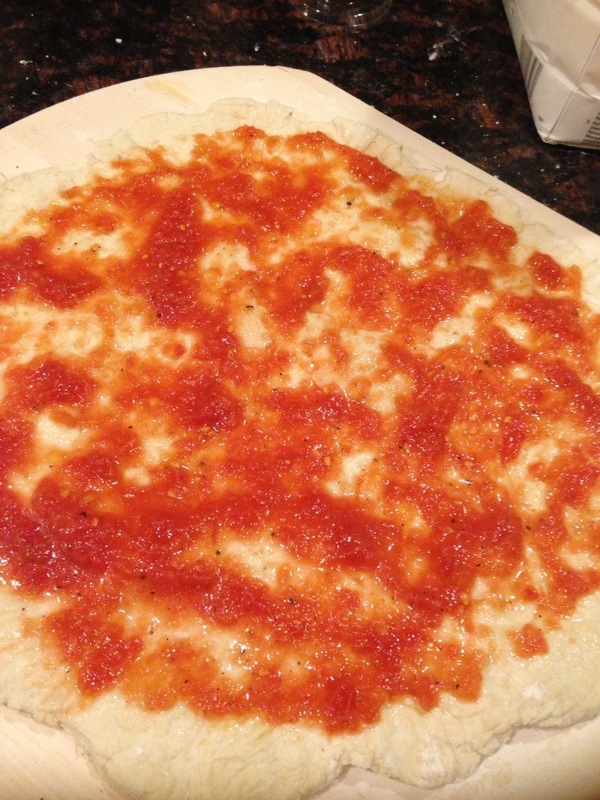 Spoon the tomato sauce over the prepared pizza dough. Spread thickly sliced mozzarella cheese over the sauce and season with salt and pepper. Bake until the dough is puffed and cheese melted. Sprinkle shredded basil leaves over the cooked pizza. I also added some Proscuitto that I had in the fridge. Season again with cracked pepper and serve immediately.